The Bachelorette recap: We need to talk about that date with Taite. Mamamia recaps The Bachelorette: We need to talk about that date with Taite. Osher is here and he has some very silly costumes that are definitely from his private collection pls. "And then I make a sandwich and pat their pet iguana." There be hats and also chaps and even Charlie takes a break from pointing at the f*ckin&apos; door to try on some short shorts. The next morning the final five - which only includes one Daniel - drive to meet Ali and Osher in the middle of a field. 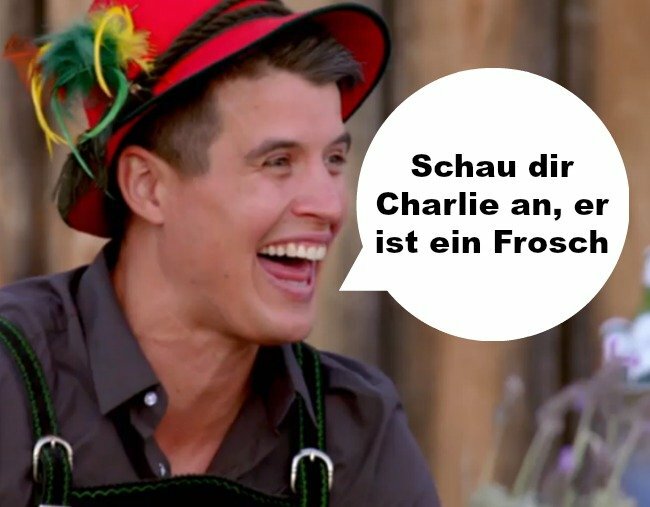 Bill is excited about calling Charlie some swears... in German. Charlie has found out about the swears and he would very much like to show Bill the f*ckin door, but they&apos;re in the middle of a field. Instead, he dumps some sauerkraut on Bill&apos;s head and Osher does a giggle in the background. Then Bill dumps sauerkraut on Charlie&apos;s head and THIS IS WHERE WE&apos;RE AT PEOPLE. There is no winner in this challenge because that is not important to Osher. What is important to Osher is the short shorts and the sauerkraut and the fact that he gets to say German words and giggle. The second challenge involves carrying beer steins while blindfolded. Bill goes first which makes Charlie mad because he&apos;s still breathing and existing and that was not the plan. Charlie then tries to outdo Bill but he does many a spill and Bill cannot. He&apos;s discovered laughing at Charlie is the best thing ever and he shan&apos;t be stopping anytime soon. Bill gets the alone time with Ali. They "order in" in the middle of a field with no f*ckin&apos; doors which is not... physically possible. They then go to a barn because Osher is fancy pls. Ali asks Bill whether he likes "sausage" and sweetie let&apos;s hope not. Ali remembers that Bill used to be David and that she has some doubts about him. But then Bill says he wants to move to Adelaide and she decides he must be 100 per cent genuine. "PUT HIM IN THE BASEMENT FOR SAFE KEEPING"
Ali chooses Taite for a single date because of his face and also his body. She&apos;d like to kiss him, you see, but she&apos;d also like to know whether he&apos;d be keen to have 596509 babies within the next 49 days. She takes him to a cliff which seems... ominous. Back at the mansion, the boiz are wondering who Taite is and whether he has spoken in their presence before. Ali and Taite play a fun game of "fishing weirdly personal questions out of the sea and trying to get Taite to say words" and Taite doesn&apos;t... like it. He came here for the Instagram followers and also for the free beer steins and doesn&apos;t understand why the blonde lady keeps talkin&apos; about her feelings all the time. 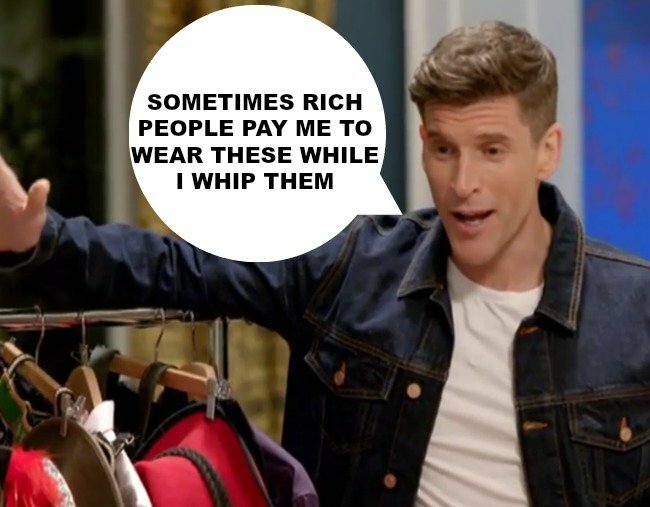 Ali asks Taite whether he&apos;s open to being engaged by the end of the year and he suddenly realises he&apos;s on a TV show about a woman finding a husband and not on an extended sleepover party with Osher Gunsberg. "WE&apos;RE READING HARRY POTTER TO EACH OTHER"
Taite basically says he&apos;s not sure about Ali and she&apos;s OK with that because of his face and also his body. Sweaty Daniel takes Ali for a chat. He doesn&apos;t mention his sweaty sisters which is an... improvement. He&apos;s about to tell her something not related to the bodily functions of his next of kin, but then Todd does an interrupt and Daniel completely forgets how... to... talk. "MY UNCLE CAN BURP THE ALPHABET"
It&apos;s rose ceremony time and Taite is concerned that he didn&apos;t say any words or express any feelings whatsoever. But he needn&apos;t have worried because... Daniel. Ali decides to send home the sweetest, sweatiest man in Bachelorette history. He grabs three extra large cans of deodorant and promptly runs home to his sweaty sisters. 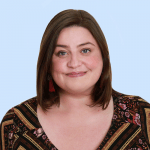 You can follow Keryn on Facebook and Instagram and join our Bach Lols Facebook group. Episode 1: Mamamia recaps The Bachelorette: A kiss leaves the men fuming. 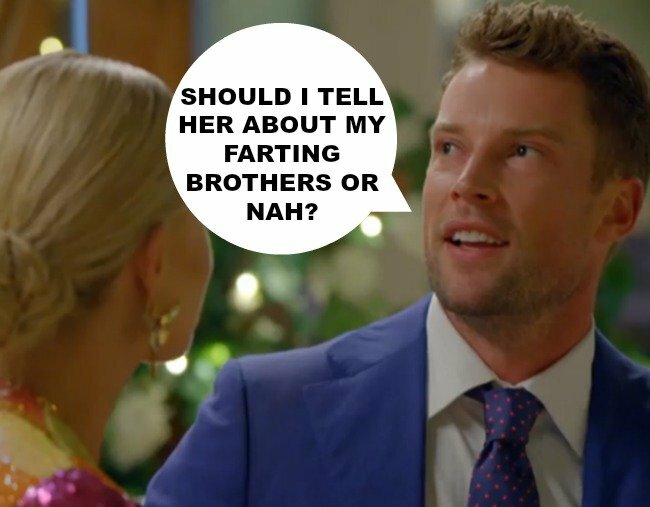 Episode 2: Mamamia recaps The Bachelorette: One man breaks the bro code. Episode 3: Mamamia recaps The Bachelorette: A tug-of-war sparks an epic feud between two men. Episode 4: Mamamia recaps The Bachelorette: One man brings up “the stairs” and is shown the door. Episode 5: Mamamia recaps The Bachelorette: Two men face off in a double date decider. 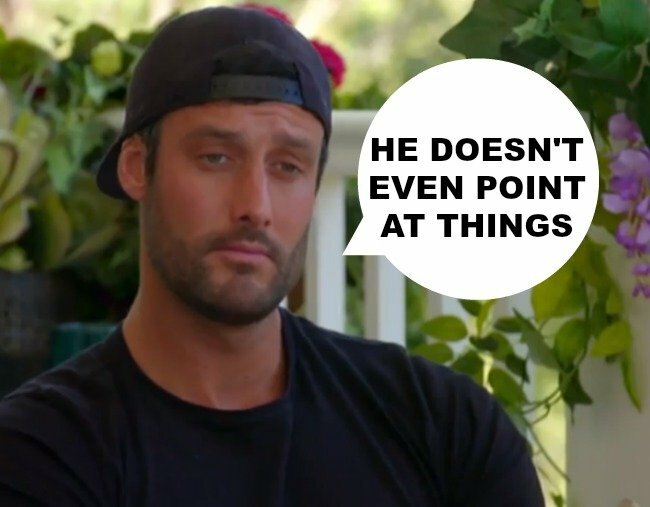 Episode 6: Mamamia recaps The Bachelorette: We need to talk about Robert. 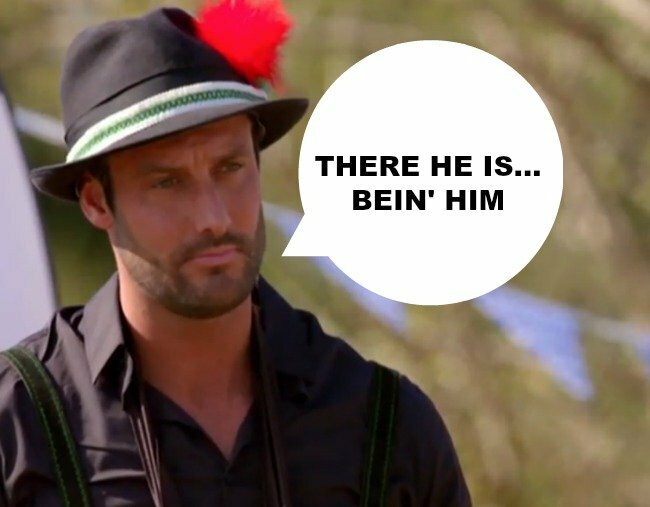 Episode 7: Mamamia recaps The Bachelorette: A favourite is shown the f*ckin&apos; door. Episode 8: Mamamia recaps The Bachelorette: "Cut it out". The physical fight that went too far.